The Real Deal: Where Real Estate Stars reveal what it really takes to seal the deal! Bob understands the pressures that real estate professionals are under today and he wants to be a resource to them so they can do what they do best. His ultimate goal is that you will listen to these experts in the field and maybe find something that you can use to help spark your business and move it to the next level! 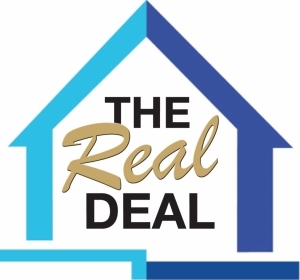 All episodes of The Real Deal can be found on our blog, iTunes and Stitcher channels. Click the links below to listen. Don’t forget to subscribe so you won’t miss an episode! Would you like to be a guest on Bob’s show? Bob believes in being a resource to real estate professionals like you because he understands the challenges you face in today’s housing market and he wants you to be successful. This radio show gives you a tangible tool – the audio – to use in your own business to highlight for prospective and current clients the benefits of working with you. If you’re interested in being a guest on The Real Deal, fill out the application below. We will be in touch with you soon! Do you have a particular specialty or topic you'd like to discuss?